You’d think it would be a bit harder to get new users when your startup is a bank. But N26 is now available in 17 European countries and has opened 300,000 bank accounts for its user base. Currently, 1,000 people sign up to N26 every day. The vast majority of the user base still lives in Germany and Austria, but other countries are catching up quickly as more than half of new signups are outside of those two countries. 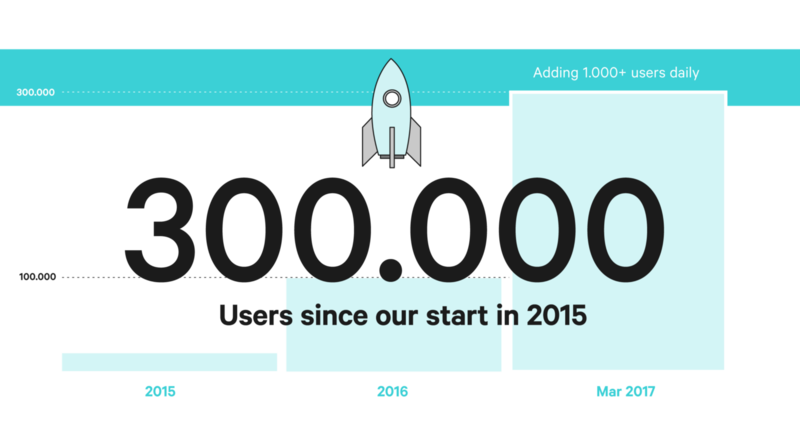 There are 30,000 users in France and 10,000 users in Spain and Ireland just a few months after signups resumed. The company has processed €3 billion in transaction volume in total, with 60 percent of this volume in 2016 alone. N26 processed 10 million card transactions in 2016, and currently processes 1,900 transactions per hour — that’s around one transaction every two seconds. These numbers are great, but are very tiny when you compare N26 with the biggest retail banks in Europe. Now that N26 has its own banking license, the company can focus on growth. If N26 can attract tens of millions of customers across Europe, then the startup would be a serious contender. For now, it’s a promising start.